The fate of Chinese smartphone maker ZTE has highlighted a flaw in Beijing's bid to become a global tech powerhouse: a lack of homemade computer chips. 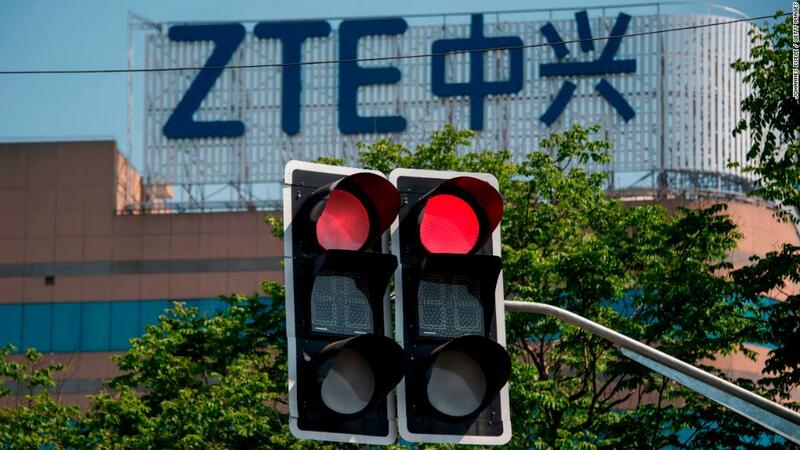 The US government announced a deal Thursday to lift a ban on ZTE (ZTCOF) from buying parts, including chips, from American companies. The ban brought ZTE factories to a standstill and the company still faces an uncertain future. President Xi Jinping has made building up a domestic chip industry a key priority. Right now, the country relies heavily on foreign companies for the core technology that powers everything from smartphones to automobiles. China has a voracious appetite for chips — it buys far more than any other country -— and just under 90% came from foreign companies last year, according to technology consultancy International Business Strategies. But developing a competitive chip industry is expensive, politically sensitive and takes time. China has invested tens of billions of dollars in several domestic players over the past few years. Big Chinese companies have also tried to get their hands on technology by aggressively bidding for foreign chip businesses. But several attempts to buy stakes in American firms failed after US authorities objected to the deals on national security grounds. China's concerns about its reliance on foreign suppliers came into focus this week when three major memory chip makers — Samsung (SSNLF) and SK Hynix of South Korea, and Micron (MICR) of the United States — said they were under investigation by Chinese regulators. SK Hynix said the probe was about suspicions of price fixing. Xi has made clear the importance he attaches to the semiconductor industry, recently comparing a computer chip to the human heart. "No matter how big a person is, he or she can never be strong without a sound and strong heart," he said in April, during a visit to a semiconductor factory in central China. Chinese memory chips are expected to hit the market by the end of this year or early 2019, but they will be inferior to those made by established foreign suppliers, analysts say. They will likely only be sold to Chinese companies, which may be willing to buy them because they will be cheaper than foreign chips, according to Avril Wu, senior research director with market research firm TrendForce. Even as it ramps up production, China will have to rely on foreign suppliers for years to come. 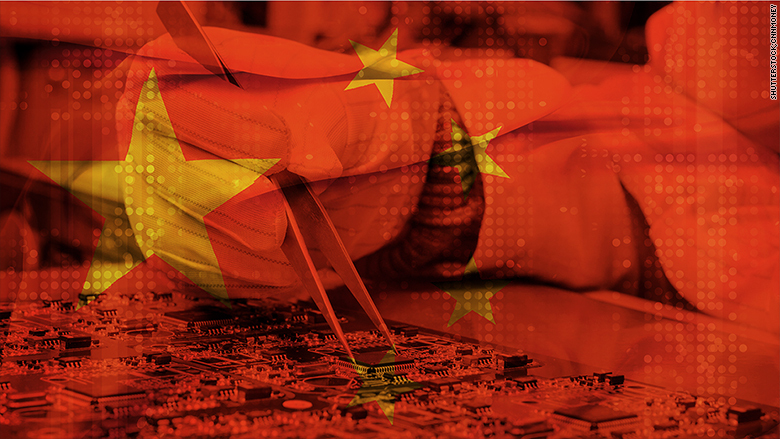 International Business Strategies currently predicts that by 2027, they will still account for about 60% of the semiconductors used in China. Wu said Chinese-made chips may also struggle in overseas markets because of concerns Chinese companies may have violated intellectual property rights. "It's safer to have those components sold in domestic China," she added. Intellectual property is at the heart of the ongoing trade dispute between the United States and China. US concerns that China is stealing American technology or forcing companies to hand it over are what drove the Trump administration to announce tariffs on $50 billion worth of Chinese goods back in March. "The US feels China is using 'unfair' means to obtain technological know-how from the US and elsewhere and is 'unfairly' using subsidies and other industrial policies," Louis Kuijs, head of Asian economics at research firm Oxford Economics, wrote in a research note last week. Analysts have suggested the investigation into South Korean and US memory chip makers could be a way of putting pressure on the companies to share intellectual property and boost Chinese competitors. Chinese authorities have declined to comment on the investigation. In another high profile move, UK chip designer Arm, owned by Japanese tech conglomerate SoftBank (SFTBF), agreed to sell a majority stake in its Chinese subsidiary this week. Arm will offload the 51% stake for $775 million to a group of Chinese-led investors, according to reports by the Financial Times and Wall Street Journal. SoftBank declined to identify the nationality of the investors.